Woodbine Entertainment would like to issue a reminder to all owners and trainers of the new conditions for the Canadian Trotting Classic and Elegantimage ahead of the February 15 deadline for nominations. 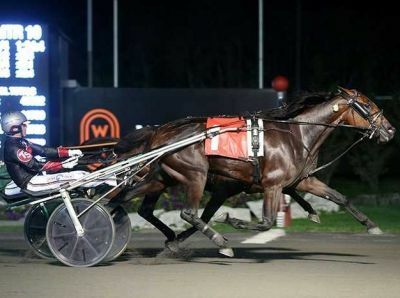 The events for three-year-old trotters will no longer require eliminations, as the top ten (10) highest lifetime money-earners entered will contest the finals on Saturday, September 14 at Mohawk Park. Trotters entered that fall outside the top ten (10) in earnings will be eligible for a consolation. The consolation will be contested for 10 per cent of the event’s purse pool (before entry fees) and requires a minimum of eight starters. If a declared trotter fails to be among the top ten (10) lifetime money earners and a consolation does not fill, or a trotter falls outside the top twenty (20) earners, all stakes payments will be refunded to the owner of the horse, provided the horse meets the current qualifying standards at Woodbine Mohawk Park. The estimated purse for the Canadian Trotting Classic is $665,000, while the Elegantimage is $350,000. To review the stakes conditions for all Woodbine administrated events, click here. Nominations are due no later than Friday, February 15. To make payments online, click here. If sending nominations by mail, envelopes must be clearly post-marked no later than February 15, 2019 or payment will not be accepted. Registered mail is recommended.